Chicken Parmesan is a lot of folks’ favorite Italian dish. 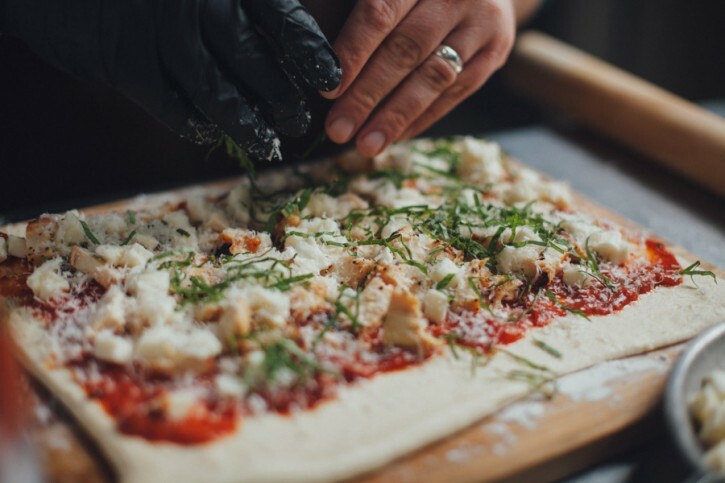 This recipe combines Chicken Parmesan with pizza (who doesn’t love pizza?!) 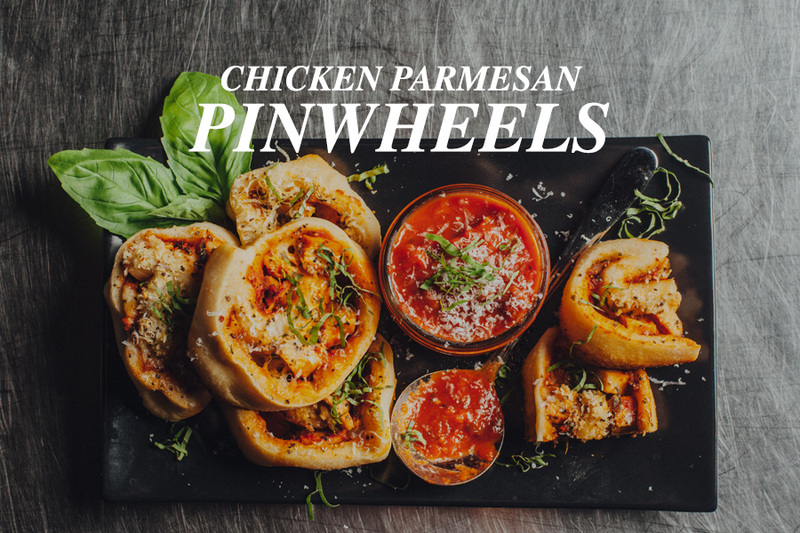 and transforms them into a party perfect pinwheel of finger food excellence! Irresistible Italiano! A staff favorite from Cattleman’s Grill. 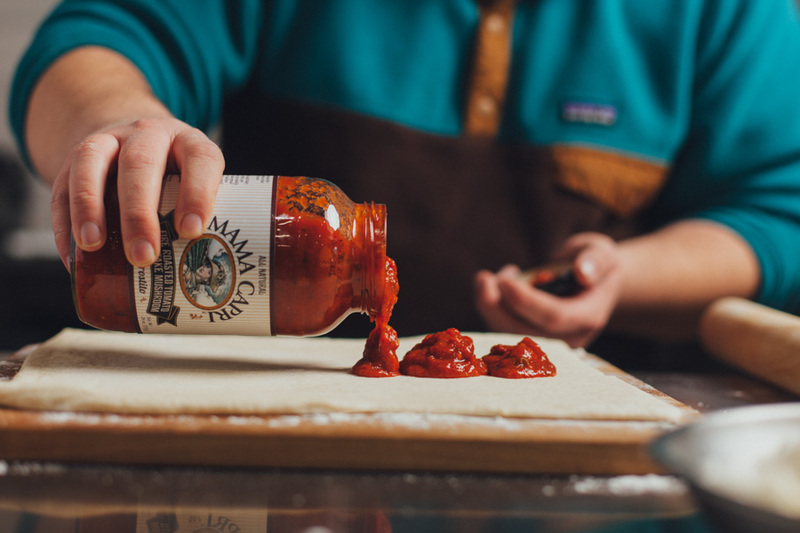 If you’re not going make your own red sauce from scratch, Mama Capri has a perfect replacement. Seriously delicious! 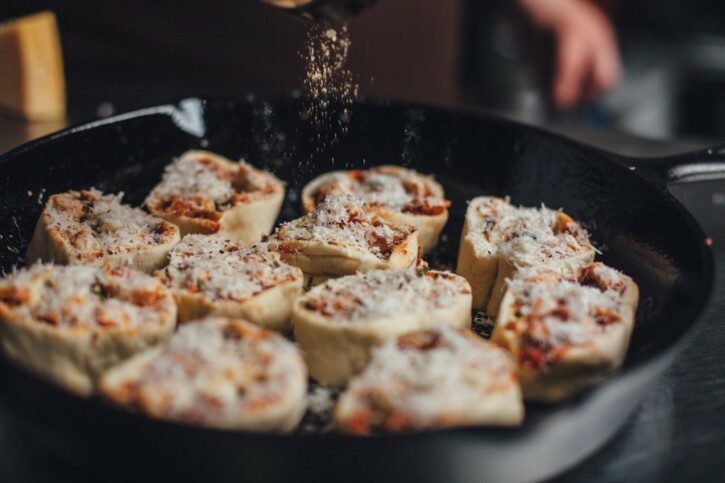 It’s no accident that your see cast iron so often on this blog. 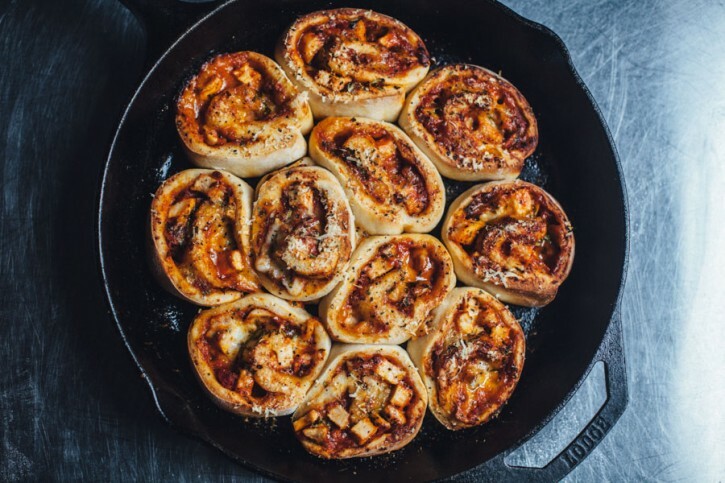 In this case, it’s the perfect way to get evenly crisped dough on the bottom of your pinwheels! Preheat your Yoder Smokers YS640 to 400ºF, set up with GrillGrates for indirect grilling. 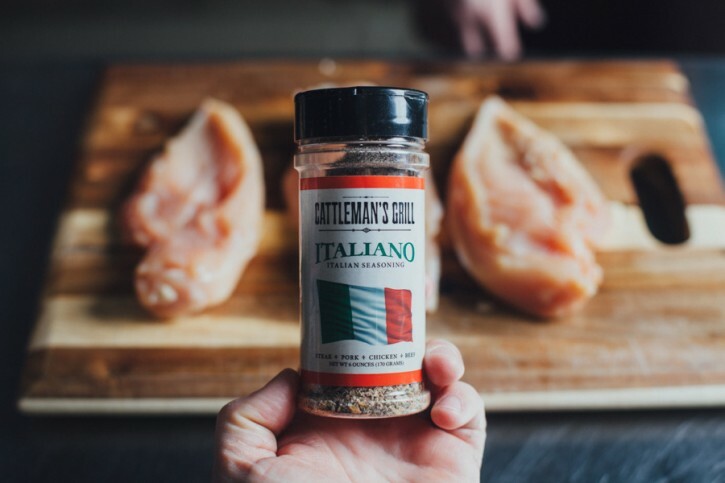 Season the breast with Cattleman’s Grill Italiano Seasoning. 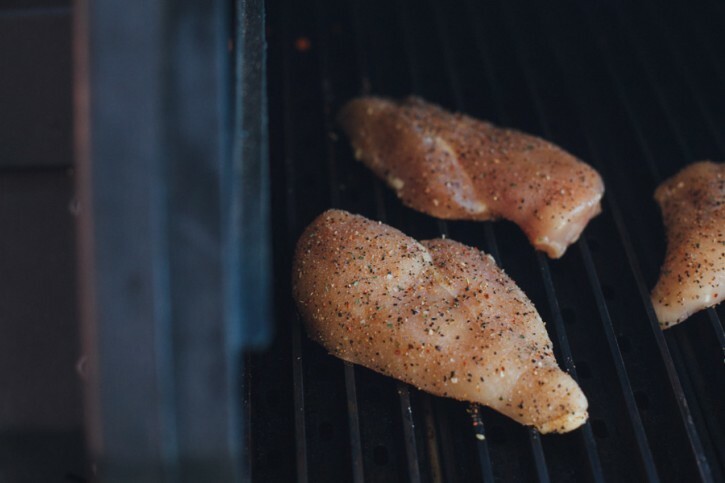 Grill on both sides until the internal temperature reaches 160ºF. Remove and rest 5 minutes. Dice. 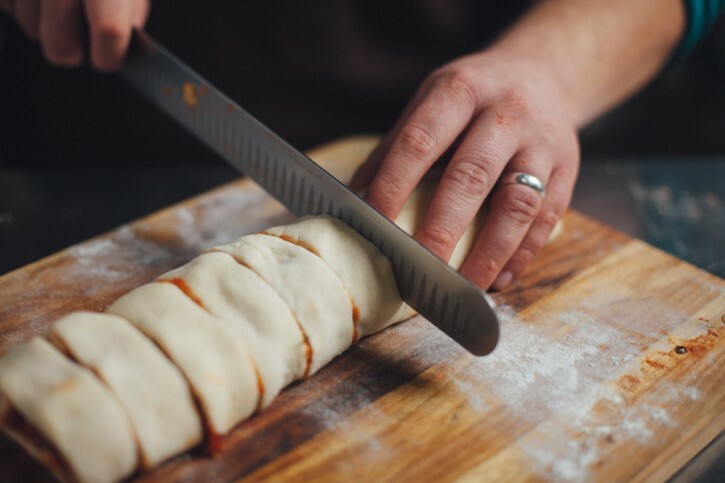 Brush a thin layer of water on the strip of exposed dough on the far side. 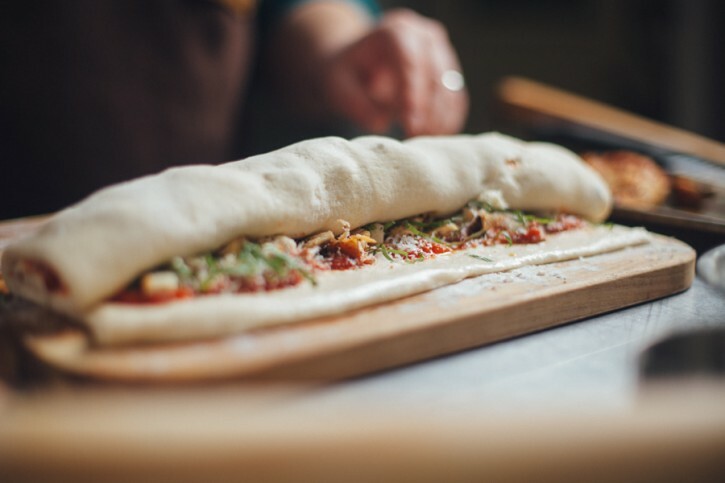 Begin rolling into a spiral log, starting at the edge closest to you, working toward the exposed strip of dough. Roll all the way to the end and place the seam on the bottom. Place in the freezer for 30-60 minutes to firm up (you can skip this step, but your cuts will be a bit more messy). Remove from the freezer. Slice the log into 1” wide pinwheels. You should get 10-12 total. 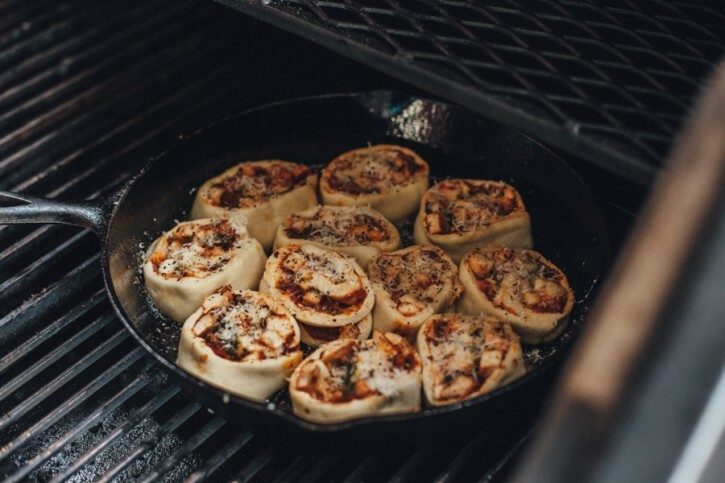 Place the pinwheels in an oiled Lodge Logic 12” cast iron skillet. Top with the remaining parmesan, and more of the Cattleman’s Italiano. Bake on the second shelf until the dough is cooked through and the bottoms begin to brown, about 20-30 minutes. Serve with the Mama Capri tomato sauce for dipping.